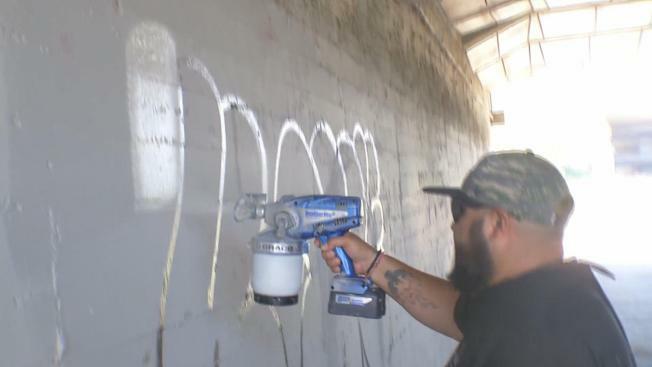 San Jose on Monday officially launched a new service that allows residents to use a few clicks to report cases of graffiti, potholes, illegal dumping, abandoned cars or streetlight outages to the city. Using the app or an online form, residents can take advantage of the "My San Jose" service to report those specific problems to the city and track the status of their request, according to the city. "With the launch of the My San Jose app, it’s now even easier for San Jose residents to serve as our eyes on the streets and help us build a cleaner and more vibrant city," Mayor Sam Liccardo said in a statement. "This app not only provides the kind of on-demand, seamless customer experience that our residents have come to expect, it will help us deliver services more cost-effectively and serve as a building block for a more robust and sophisticated tool in the years to come." Interested residents are encouraged to create an account in order to submit specific requests, according to the city. Residents are allowed to remain anonymous, but having an account allows for broader features and personalized service. Once a request is submitted, it will be categorized and dished out to the appropriate city crew responsible for tackling such a task. Requests are made visible on a map for all residents to see and keep track of. When a request is resolved, residents have the option of being alerted via a notification. According to the request tracking platform, thousands of requests have already been made since the beginning of May. Roughly 4,600 requests have been closed, 1,600 are in progress of being fixed and 1,700 remain open. As of Monday, only five specific requests can be made. There is a "General Request" feature for any other issues that concern residents. Additional types of requests will be made available down the road.